Freemasonry is NOT a religion and neither is it a substitute for one. All regular/recognized Masons upon joining must profess a belief in a Supreme Being. However, there is no ‘religious test’ and neither are their questions asked of a candidate about the specificity of their beliefs. 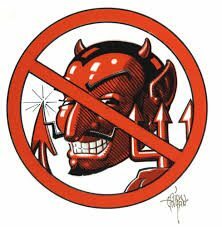 It should be noted that discussion of religion is specifically banned from any/all Masonic meetings. Failure to observe this prohibition results in expulsion from membership. Period! 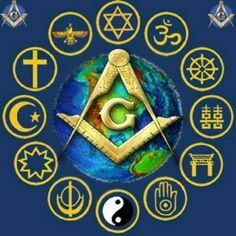 There are some organizations which predicate their membership on being a Mason in good standing and these may have a requirement relative to religious beliefs. For example, the masonic Knights Templar require that an applicant profess a belief in Trinitarian Christianity and agree to defend the Christian faith above all others. This group, and any others with religious requirements, were created at a time when universality of faith was far less common than today. Masons joining now will see such groups as being a way to further their faith amongst like-minded companions while others see them as an anachronism which has no place in the family of Freemasonry today. Here at the Grand Lodge of Maine Library we have a section with books about religion and spiritual subjects to enable Masonic members, their visitors and friends as well as the community to learn more about their own faith as well as that of others. We have tried to balance our collection showing favoritism to no particular creed or faith. If you feel we’ve underepresented yours, we’d encourage you to donate books and videos to help better enlighten us all. Freemasonry welcomes all good men of faith, regardless of their specific beliefs. A foolish question which sometimes arises is whether a Satanist can become a Freemason. The answer is an unequivocal “NO!”. Masons are required to profess a belief in a SUPREME BEING. Satan isn’t. It’s that simple….